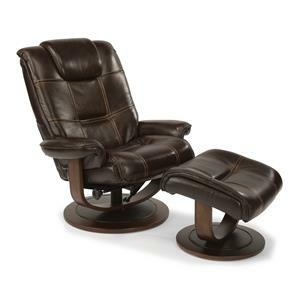 Indulge in this long lasting comfort and finely crafted tilt back recliner chair and ottoman set. 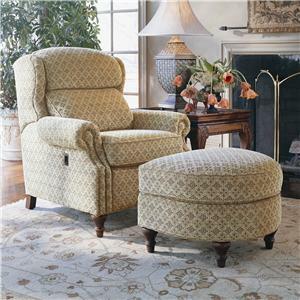 This chair features a semi-attached inside back with over stuffed cushions to ensure a comfy seat. This chair will tilt far back to your reclining needs. Padded rolled arms are featured for comfortable arm rests with the option of decorative nail head trim. Bun and turned exposed wood feet are featured in a Maple wood finish shown. (Other wood trim options are available). "Comfort Wrinkles" are designed to appear in this style to enhance the exceptionally soft feel of the seat and back cushions. 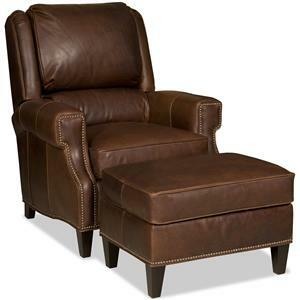 This tilt back chair is available in leather and fabric with 800 styles to choose from to create the one of a kind look you want in your living room. 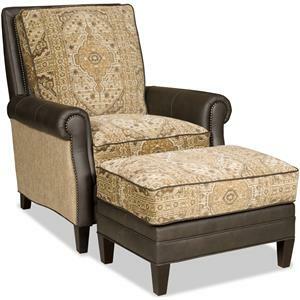 Cuddle up with blanket, good book or watch your favorite TV program on this tilt-back chair. 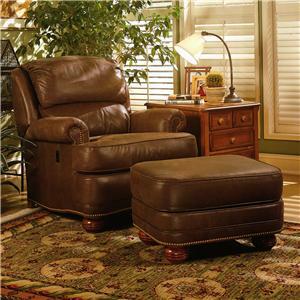 Pair with the matching ottoman to expand your comfort. 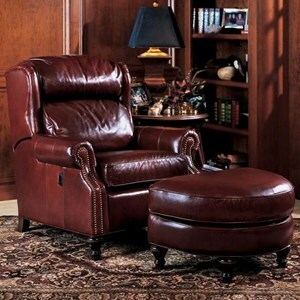 The ottoman features matching bun feet and a cushioned top for a comfortable and conveninet footrest. 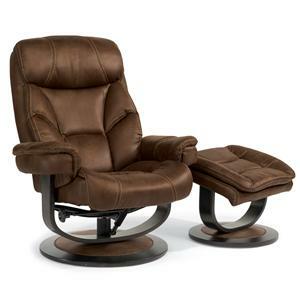 The 988 Upholstered Tilt-Back Reclining Chair & Ottoman by Smith Brothers at Mueller Furniture in the Lake St. Louis, Wentzville, O'Fallon, MO, St.Charles, St.Louis Area, MO Furniture Store and Belleville, Shiloh, O'Fallon,IL area. Product availability may vary. Contact us for the most current availability on this product. 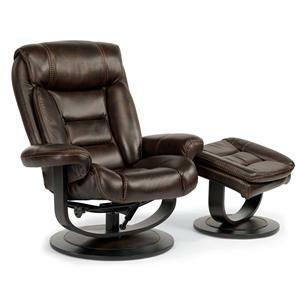 988L-47 Tilt-Back Reclining Chair 1 37" 41" 39"
988L-40 Upholstered Ottoman 1 27" 20" 17"
The 988 collection is a great option if you are looking for Traditional furniture in the Lake St. Louis, Wentzville, O'Fallon, MO, St.Charles, St.Louis Area, MO Furniture Store and Belleville, Shiloh, O'Fallon,IL area. Browse other items in the 988 collection from Mueller Furniture in the Lake St. Louis, Wentzville, O'Fallon, MO, St.Charles, St.Louis Area, MO Furniture Store and Belleville, Shiloh, O'Fallon,IL area.